EU Parliament cut €70 million in pre-accession funds earmarked for Turkey because no improvement in respect for human rights and EU values. The aid will now go to programmes dealing with migration. 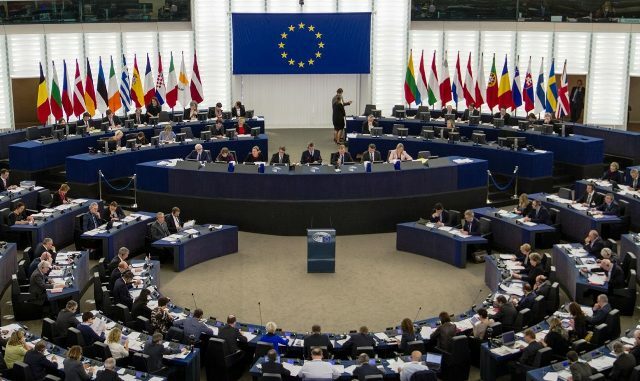 Brussels, 2 Oct 2018 - Middle East Diplomatic - EU Parliament decided to cancel €70 million in pre-accession funds earmarked for Turkey, as conditions to improve the rule of law were not met. The aid will now go to programmes dealing with migration. The voted report by Siegfried Muresan (EPP, RO) has been adopted with 544 votes, 28 against and 74 abstentions. Parliament (MEPs) do believe that there have been no improvement in respect for EU values, in the fields of rule of law, democracy, human rights and press freedom. They accordingly support the draft amending budget 5/2018, in which the Commission proposes transferring the €70 million earmarked for Turkey to reinforce the European Neighbourhood Instrument. This would be done through commitments– to cover actions linked to the Central Mediterranean migratory route and to fulfil part of the EU pledge for Syria-and to boost Humanitarian Aid by €35 million. However, the European Commission`s annual report on Turkey, published on 17 April 2018, concluded that “Turkey has been significantly moving away from the European Union, in particular in the areas of the rule of law and fundamental rights and through the weakening of effective checks and balances in the political system”.